This is the first of two articles based on a talk by Lesley Fosh for the HCID Open Day 2018 at City, University of London. In Part 2, Lesley will look at the practicalities of running user research in context. For more on the HCID Open Day, see our key takeaways here. As our interactions with technology move further away from screens, they become ever more situated in their environments. In my talk, I unpacked why and how researching in context can help us understand more about how technology fits into users’ real lives, providing insights that go beyond uncovering usability problems. Preparing for my HCID Open Day 2018 talk at City University, I thought back to my previous life in academia, when I researched and designed apps for museum visiting. Throughout that time, I barely stepped foot in a research lab — instead, a combination of ethnographic research, conversations with curators and workshops with visitors informed my design approach. I grounded my thesis in a theory from ‘The Museum Experience’ by John Falk and Lynn Dierking, a short but influential book from 1992. The book brought together observations of people visiting museums and other places of cultural heritage. 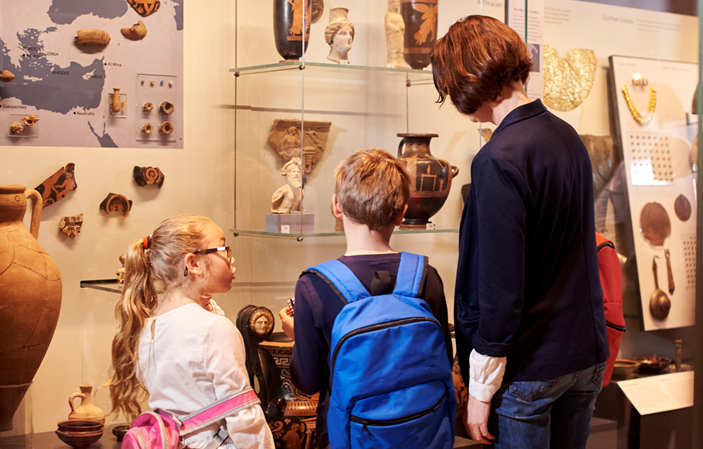 A family looking at a display in a museum. The theory holds that the museum experience is constructed from three interweaving contexts. First is the personal context, which is what each individual brings with them to a visit — their interests, motivations, knowledge and concerns. Next is the physical context — the museum itself, its artefacts, labels and architecture. Finally there is the social context, the influence of those around the visitor — the difference between a visit with two small children and one with friends or a partner, as well as the effect of other visitors. The interaction between the three contexts is what creates each visitor’s unique experience of a museum. The introduction of technology needs to carefully consider these contexts in order to fit into an already complex set of circumstances. Consider how the presentation of information by audio vs. text might need to consider the social context while also ensuring attention is focused on the museum artefacts, rather than on a screen. In my current role as a Senior UX Consultant at System Concepts, I’m always looking for opportunities to go into the field. There is so much we can learn from studying users in their own environments. The physical context can help us understand how location or environmental factors affect the user’s experience. Using participants’ own devices, accounts and data can help us understand more about what is meaningful to them personally. Seeing how participants interact with others around them can uncover the many ways we are socially influenced and how this affects our interactions. Keeping these in mind helps me to build a holistic picture of the user experience. I’ve been considering how evaluating designs in context can shape insights about how aspects of users’ inner and outer lives impact the user experience. We normally evaluate designs by inviting users to come to a lab for usability testing, but visiting users in their own environments can be much more insightful. Take a recent project I did with the Alzheimer’s Society. The objective was to understand how people used Dementia Connect, a widget that people living with dementia and their carers could use to find dementia-related services (social groups, information, day care, and so on). It was really important for the Alzheimer’s Society to reach a wide and diverse range of users, and they recognised that a significant portion of their audience would not be able to attend a lab session due to their caring commitments. 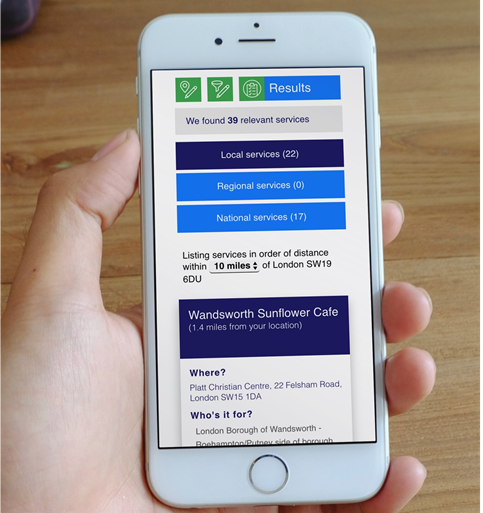 We followed up a round of lab-based testing with contextual visits to carers in their own homes. To say it was eye-opening would be an understatement — we learned so much from stepping into these carers’ personal, physical and social contexts. The Alzheimer’s Society’s ‘Dementia Connect’ service. Rather than sticking to the task-based approach we used in the lab, we let the participants lead the sessions to look for services that related to their current situation and needs. Participants were also much more open, sharing highly personal concerns about the services they found (one carer worried that a social group wouldn’t be for “people like us”, referring to their relatively young age and ethnicity). Participants were able to show us things in their space, the paperwork they had to file for medical and social services and the area they lived in. Having to move to the next room to check in on the person they cared for showed us how their experiences with the website could be frequently interrupted. This illustrated that the flow needed to be easily picked up from where they left off. The people we visited were all caring for their partner or family member in their homes, and we were able to what looking after a person living with dementia was like, first hand. We were able to see how one participant’s husband spent his day dressed in his coat waiting to leave the house, which he was no longer able to do alone. Being able to see this and interact with the person first hand was an invaluable part of the research and helped us empathise with the social situation in a way that would not have come across otherwise. Taking our research to carers in their own environments can allow us to reach participants we would not otherwise be able to meet. In the Alzheimers’ Society case study referred to, it was this contextual research which gave us the deep insights into the life of a carer, and how using services like Dementia Connect needs to fit around their round-the-clock care work. This encourages deeper and more personal conversations, as participants feel able to open up more once rapport is created in their familiar home environment. In Part 2 I’ll share my tips for how to prepare for, run and analyse sessions with users in their homes. This article on Lesley’s talk at HCID Open Day 2018 has previously been published on Medium.